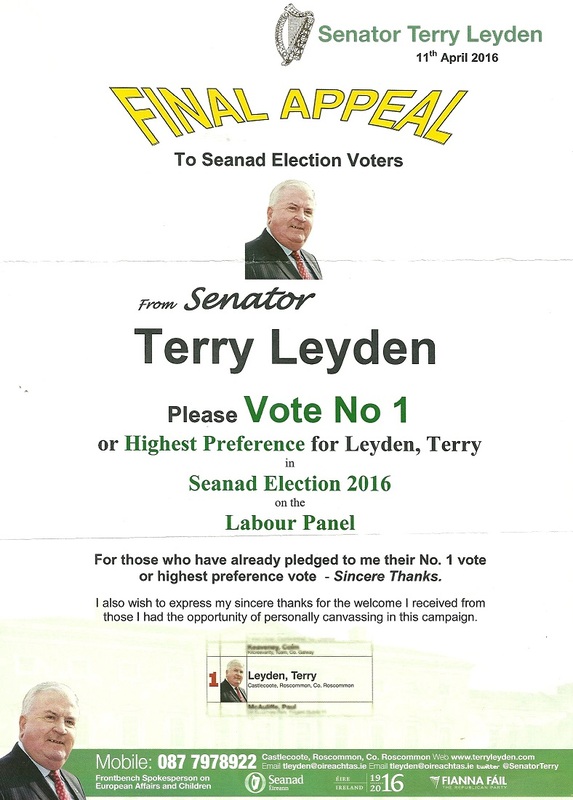 A Leaflet from Cian Prendiville of The AAAPBP who is running for a Seanad seat on The Labour Panel. A Leaflet from Ned O’Sullivan who is running for Fianna Fail for a Seanad seat on the Labour Panel. 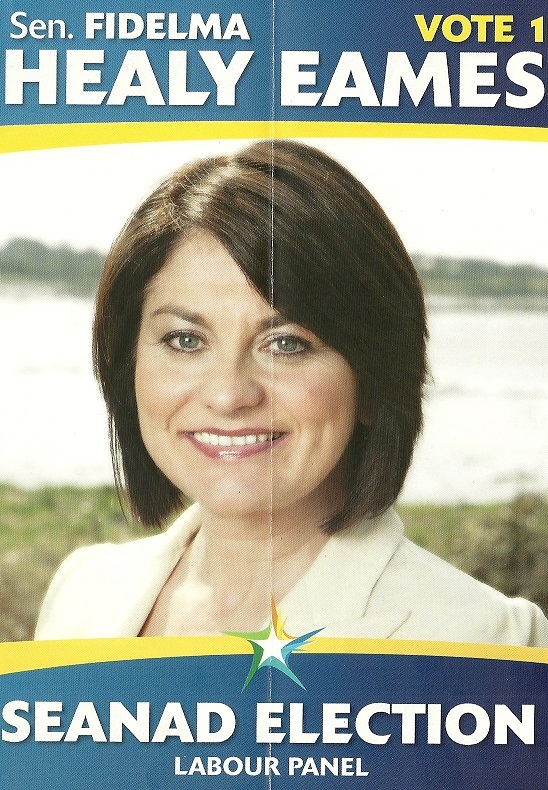 From the 2011 Senad Election a leaflet from Fine Gael Galway based Senator Fidelma Healy Eames. She was elected. The leaflet highlights her work in the previous seanad, her Experience, a quote from Ghandi and more. 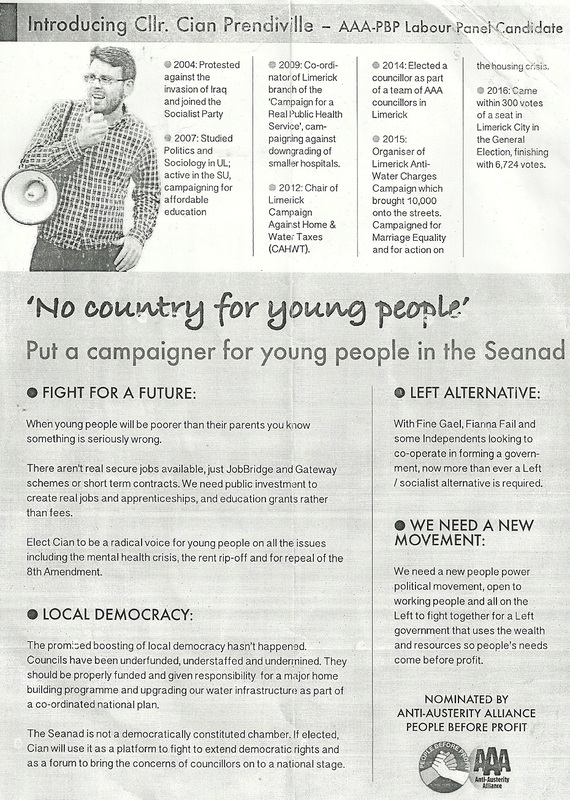 From the 2011 Seanad Elections a leaflet from Fine Gael Councillor Neale Richmond who was running for a seat on the Labour Panel. The Glencullen Councillor polled 39,000 votes and failed to win a seat. Running for a seat on the Labour Panel a flyer for Fine Gael candidate Cait Keane from the 2011 Seanad Elections. The former PD councillor came close to winning a seat in the 2011 General Election in Dublin South West.